Vanessa Fox, partner and head of family law at hlw Keeble Hawson, has struck the right chord with attendees at a festive event in Sheffield to support Breast Cancer Care. 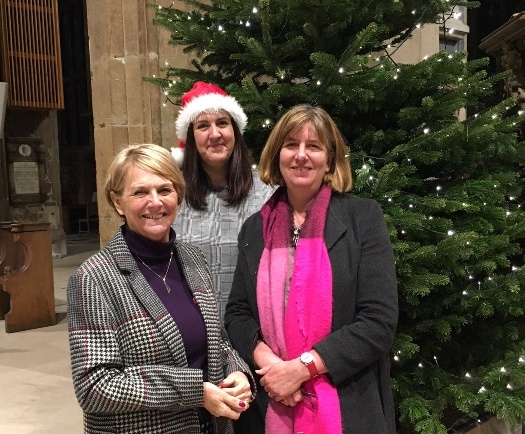 Vanessa, who has previously had breast cancer, gave a bible reading at the charity’s Carols by Candlelight fundraiser at Sheffield Cathedral. The concert featured musical performances from local school choirs and the Military Wives Choir from RAF Cranwell in Lincolnshire. The annual event is expected to raise £8,000, which will support the 10,500 people currently living with breast cancer in South Yorkshire. Sarah Herrett, community fundraising manager for Breast Cancer Care, said: “Many thanks to Vanessa and all the participants who made the evening a great success.